A notorious Antarctic and Patagonian toothfish poaching vessel, famous for plundering the Antarctic, was arrested on March 13 in waters belonging to the West African state of Liberia by the Liberian Coast Guard, with assistance from the marine conservation group Sea Shepherd. The F/V Hai Lung, known to the Commission for the Conservation of Antarctic Marine Living Resources (CCAMLR) by its previous name "Kily," was transiting through Liberian waters when it was boarded and inspected by a Liberian Coast Guard team working alongside Sea Shepherd crew on board Sea Shepherd's patrol vessel M/Y Sam Simon. From January through March, an average of 6,000 dolphins are killed each year on France's west coast by large industrial trawlers and vessels fishing in pairs (nets dragged between two trawlers). That number could be as high as 10,000, according to the Pélagis Observatory, based in La Rochelle. That's more than the number of dolphins killed each year in the Danish Faroe Islands and The Cove in Taiji, Japan, combined. Less than two weeks after publishing the graphic images of poached sea turtles on the French island of Mayotte, Sea Shepherd's conservation team interrupted another slaughter on the night of July 7, and this time—as captured on video footage shown above—it turned violent. When the volunteers arrived at the beach known as Moya 1, one of the most popular tourist beaches on the Petit Terre island, they spotted a 4x4 vehicle, its lights switched off as it waited to pick up poached turtle meat. The guards, who should have been there to protect the turtles who come to lay their eggs, were nowhere to be seen. The winner's film was released as Sea Shepherd's official PSA this morning for World Oceans Day. 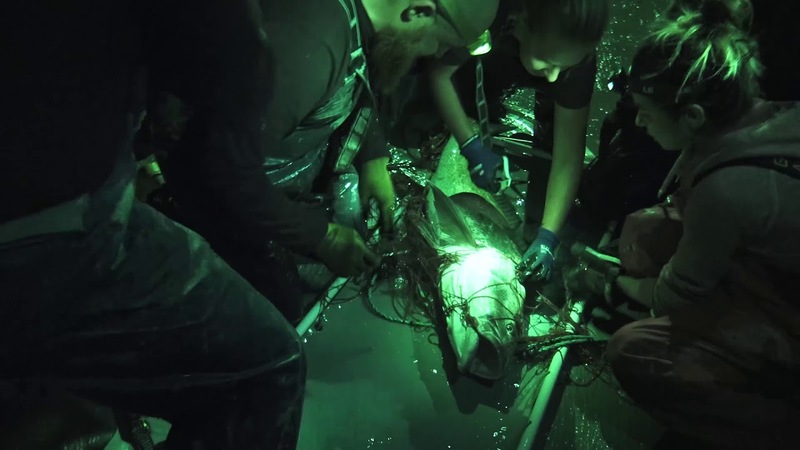 Sea Shepherd's research vessel the R/V Martin Sheen returned to Mexico's Guadalupe Island to continue its study of Cuvier's beaked whales, capturing never before seen drone footage of these rare and elusive cetaceans. Thanks to a swift response by the Mexican government, a potentially dangerous confrontation by hostile fisherman towards Sea Shepherd was averted on March 30.